There have already been a number of responses (1) to the publication of the report of the Danish Immigration Service’s fact finding mission to Ethiopia and Eritrea on the drivers and root causes of emigration from Eritrea – looking at the issue of National Service and exploring the possibility of Return . My observations are more focused on the lack of contextual and historical knowledge and capacity of analysis displayed by the interlocutors of the Danish Mission (2) mainly the representatives of the UN agencies, the various Embassies and organisations. The representatives of the UN, Western Embassies or the Regional NGO failed to share with the members of the Danish mission the context or any information on the situation of the Eritrean people despite the fact that some of these issues are by now well documented and known . The scenario presented by the interlocutors is one of a capricious shallow people. The Eritrean people I know are dignified, stoic, hardworking people who are not willing to allow the situation to degenerate further into an extensive full scale armed conflict. Though there are some armed groups along the Eritrean border, they have not captured the Eritrean people’s imagination. The Eritrean people are very aware that a full scale armed conflict now is a conflict between Eritreans a “civil war.” Another civil war in an area of Africa already besieged by so many civil wars. The view that Eritrean people are running away and are failing to address the situation in their own country fails to recognise that not reporting for national service in the context of Eritrea is a political act. Every day Eritreans are demonstrating their dissent by disobeying the directives of the Government, by finding ways and means of providing for their family. The Eritrean people are only guilty of failing to recognise the plight of their children sooner. 1. 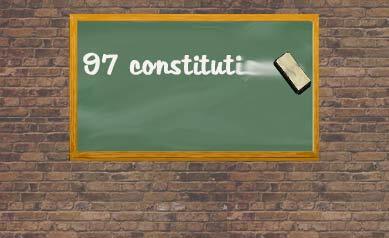 The Eritrean Constitution was ratified, by the Constitutional Assembly, on 23 May 1997. 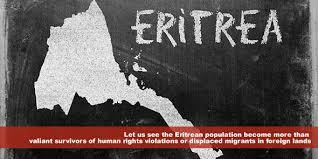 The only reason that it has not become operational is that it has never been the priority of the Eritrean Government. It was such a low priority that the Ministry of Justice has managed to develop strategic plans without ever mentioning the Constitution. 3. The continued existence of the Special Court. The Special Court is a court that exists outside of the established judicial system. The Special Court does not allow any form of representation. The Special Court does not allow any appeal of its decisions The Special Court does not respect the judgements of other courts including the decisions of the High Court and reserves for itself the right to change verdicts of other courts including the decisions of the Eritrean High Court. The Special Court is a military court presided by members of the military, who are not known and who are proceeding on the basis of socio political considerations. The legislation that established the Special Court is not available and there are no published records as to the proceedings of the Special Court. In July 2001 the President of the High Court Mr Teame Beyene presented a paper at the International Eritrean Studies Association Conference in Asmara where he severely criticised the Eritrean Government’s interference in the administration of justice and in particular the existence of the Special Court. For his presentation he received a standing ovation from the participants both Eritreans as well as members of the International Community including representatives of the UN, Embassies, International NGO’s. 4. In 2001 Eritrean University students protested. Following the student protest Semere Kesete the student leader was arrested. On 11 August 2001 Judge Teamed accepted the Habeas Corpus application, on behalf of Semere Kesete, requesting that the authorities to bring the student leader, to court in order to justify his detention. The authorities pleaded that they needed more time to prepare the case the matter was adjourned to a later date. During the hearing students gathered peacefully, outside the court house, in support of Semere. Immediately after the adjournment four hundred (400 ) students were arrested and taken to Wia military camp where they suffered such bad conditions that 2 students died . The death of the students was reported by the Eritrean independent media and was labelled by such journalists as Sium Tshaie as murder. Semere Kesete remained in jail in solitary confinement in Asmara till 2002 when he escaped with his guard. 6. Following the arrest of the politicians (i.e. 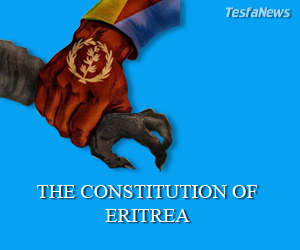 G 15) who protested the management of the country by President Isaias Afeworki, a second habeas corpus request was made (26 November 2001) under the umbrella of Article 17 of the Eritrean Constitution. This time the request was made to the Minister of Justice (Ms Fawzia Hashim) with the following demands: (a) disclosure of the place of detention of the G15 members (b) that the G 15 group be either charged or released. It is a matter of historical record that the location of detention of the G15 detention was not revealed and that they were not released. It is also a matter of historical record that there was no trial. During a speech to the National Assembly, President Isaias Afeworki accused the G15 group of treason and the National Assembly (comprising of EPFDJ party members ) condemned the G 15. It is noteworthy that not one member of the then National Assembly asked for proof or that the group of G15 be referred to the High Court. Essentially the National Assembly showed itself to spineless and gutless body. It is noteworthy that the only Eritrean Institution that attempted to mediate was that of the Elders such as Kekia and Abdu who were also arrested. 7. Both the case of the G15 and the journalists, arrested in 2001, was heard by the African Commission on Human and People’s Rights (November 2003). The African Commission found that the Eritrean Government was in breach of the African Charter on Human and People’s rights. In the case of the G15 their rights a fair trial, freedom of opinion and expression had been breached. 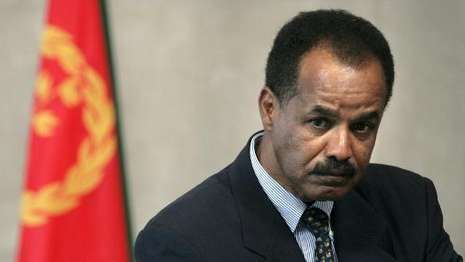 The Commission urged the Eritrean Government to release the prisoners and to compensate them for unlawful detention. In the case of the journalists the Commission found that their arrest was arbitrary and that their continued detention incommunicado was in violation of the principle of due process of law. In addition the Commission found that the separation of the prisoners from their families for such a long time constituted a breach to the right to family life. Both these rulings are ignored and people continue to disappear. 4 The Worlds of 10 worst dictators …..
Another disgruntled blood sucker garbage!! !